Cell phones, billboards, TV ads, Fitbits . . .
Now, more so than ever before, our nervous system is continuously being over-stimulated with information. This over-stimulation surprisingly has the opposite effect as might be imagined; It can lead to a shut down or “tuning out” of the external noise that we experience on a daily basis. 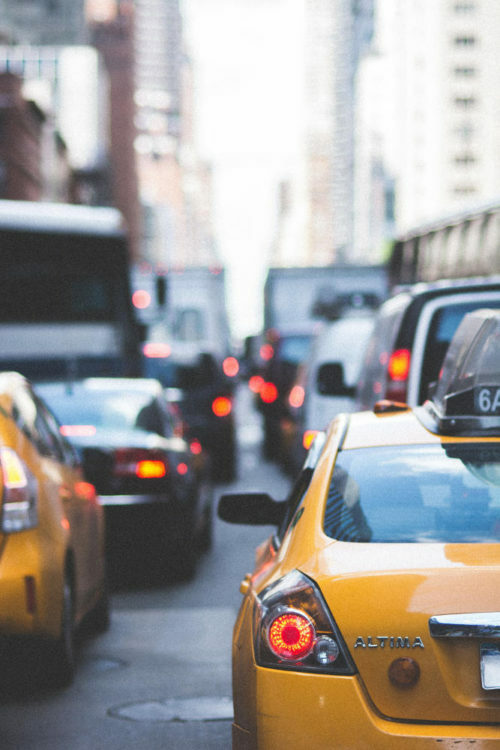 This concept of “tuning out” can also be applied to someone who lives in an urban setting and eventually doesn’t notice the constant honking and construction of the busy city streets. Or a parent who is able to function with screaming children in the background. the demands of our nervous system to maintain dynamic balance and postural control during walking. In the case of human movement, the “noise” that enters the nervous system would be proprioceptive information such as vibration, joint capsule stretch, texture, tension, etc. This proprioceptive noise is essential for proper activation of muscle sequences and time to stabilization for efficient loading and unloading of impact forces. With the foot as the only contact point between the body and the ground—much of this noise enters our nervous system through the feet. If this foot noise is tuned out or unable to be sensed by the nervous system, inaccurate movement patterns and delayed time to stabilization (i.e. injury) are the results. The cushion in shoes absorbs the vibration noise during foot contact. Smooth insoles and socks block the skin stretch and texture perception during locomotion. Thick soles shift proprioceptive feedback away from the foot and into muscle tendon reflexes, which are large nerve, reactive, slower responses. A 2015 study by Lipsitz et al. found that using low grade vibratory insoles providing sub-sensory noise improved postural control and reduced gait variability in seniors. Another study by David et al. further explored the role of textural noise of insoles and the role they had on ankle proprioception in male soccer players. Interestingly, those subjects with textured insoles reported faster ankle joint position sense and higher force production. Another great way to keep the foot “tuned in” to stimulation is to integrate barefoot activity on a daily basis. 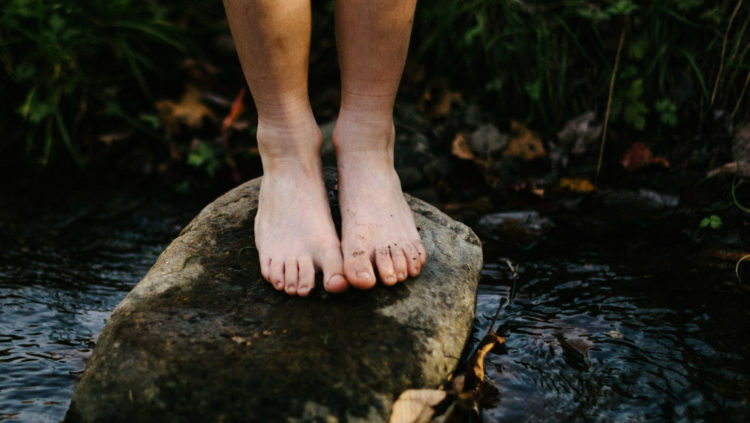 Barefoot stimulation enhances the proprioceptors on the feet–keeping them sharp, responsive and functioning as an integrated part of your natural movement. It’s been well accepted that footwear changes the proprioceptive input between foot and ground. Despite consumer associations between cushion and comfort, a 1997 study by Robbins et al. has demonstrated that increased cushion in shoes actually decreases foot position sense and alters overall stability. The same study by further demonstrated that the ideal shoe for improving balance and stability is a thin, hard-soled shoe. We can take the concept of stiffness and cushion from shoes to surfaces. When it comes to surface science and innovation much attention has been given on the topic of landing techniques and surface stiffness. Similar to shoes, when it comes to surfaces, stiffness wins again! Surfaces vibrate and deform upon contact with the degree of vibration being dependent on surface stiffness. Anyone who has taken a workshop with EBFA should remember that vibration is how our foot proprioceptors and nervous system know how hard we are striking the ground. This information is critical to optimizing landing technique and the subsequent loading response. A review article by Marinsek et al. 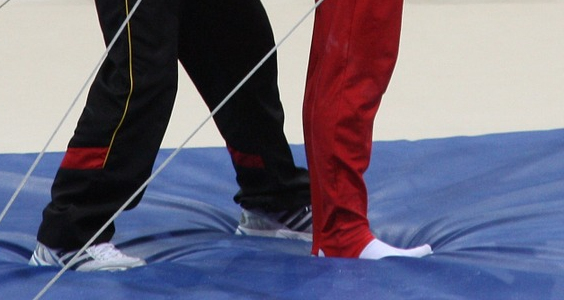 found that the ideal mat for optimal landing techniques in elite gymnasts was a stiffer mat; one that not only created vibrations but also had the capability of damping the excess impact forces. Marinsek et al. further emphasized the need for pre-activation muscle tension occurring up to 170ms before foot contact. This concept which is often research by Nigg et al. is a critical component to the Barefoot Training Specialist® Certificiaion by EBFA. Another feature of surface design that must be considered, especially when it comes to barefoot training, is texture. Texture perception is one of the stimuli unique to the small nerve proprioceptors of the plantar foot. When it comes to texture is that not all texture is the same! A 2011 study by Hatton et al. set out to find the most effective texture when it comes to improving proprioceptive feedback from the foot. Hatton et al. compared two different shapes and sizes of texture. What was fascinating is that Texture 1 improved balance and stability while Texture 2 actually threw off balance! It is important to note that the greatest improvement in balance with Texture 1 was when the subject’s eyes were closed. The reason for this observation is that when you take away one of the input systems (eyes, ears, joints, skin) the nervous system seeks information from the other input systems. In this case it was the plantar foot that was over-recruited to maintain balance. Stiffness – to allow optimal vibrations. Damping – to offset the excess vibration during dynamic movement. Texture – to uniquely stimulate the small nerve proprioceptors in the plantar foot. Naboso Technology, created by EBFA Global, includes all these surface science features. From the unique patent-pending material of the Naboso Barefoot Training Mat to our small nerve proprioceptive insoles, they designed to continuously provide the essential noise of the foot during dynamic movement. Emily Splichal is a podiatric doctor and movement specialist who works primarily with foot posture and foot strength, both clinically and in teaching workshops worldwide. She’s a barefoot training enthusiast, and teaches classes in barefoot training and postural alignment. 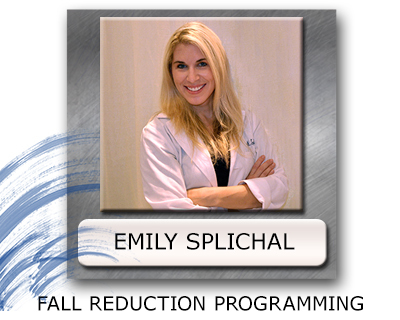 In this lecture, podiatrist Emily Splichal tells us how to optimize proprioception for fall reduction programming. When asked about ankle stability training, most people think of wobble boards and other forms of balance training. Podiatrist Emily Splichal flips that idea in this discussion of how proprioceptive training works, then provides her suggestions for building a successful ankle stability program.